ROG Zephyrus is the result of persistent dedication to gaming innovation. 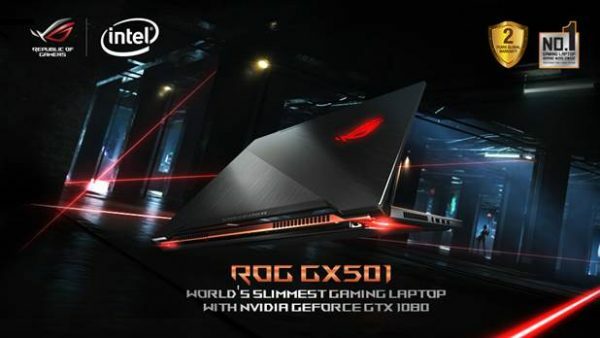 ROG aims to create laptops that are slimmer, cooler, quieter and more powerful than ever before — to fully address the needs of today’s highly mobile gamers. Zephyrus has a blade-inspired design, resulting in an ultraslim and sleek profile that tapers from 17.9mm down to just 16.9mm at its thinnest point. Its compact dimensions make it the world’s thinnest gaming laptop powered by the 7th Generation Intel Core i7 processor and the latest NVIDIA GeForce GTX 1080 graphics, delivering unstoppable gaming performance. The incredible CPU and GPU combination allows Zephyrus to compete successfully with larger devices and desktops. 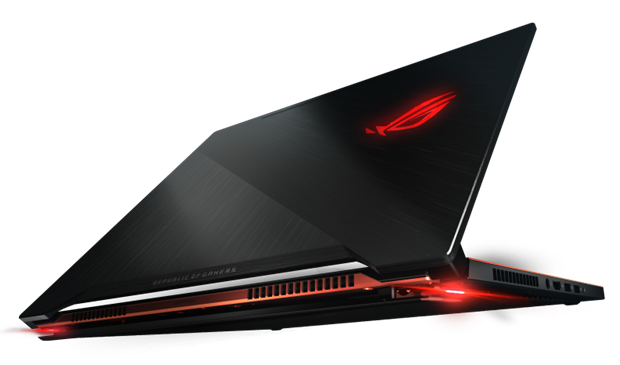 ROG Zephyrus is cooled by an exclusive Active Aerodynamic System (AAS) that runs cooler and quieter without sacrificing performance. AAS incorporates the unique Aero Accelerator (AA) technology that increases the speed and efficiency of airflow through the laptop. The fan’s 3D-curved surface cover and accelerator guides enhance airflow and move heat away from the components more efficiently. When Zephyrus is opened, a portion of the bottom of the chassis flexes to increase the airflow volume by 20 percent and further increase air circulation. 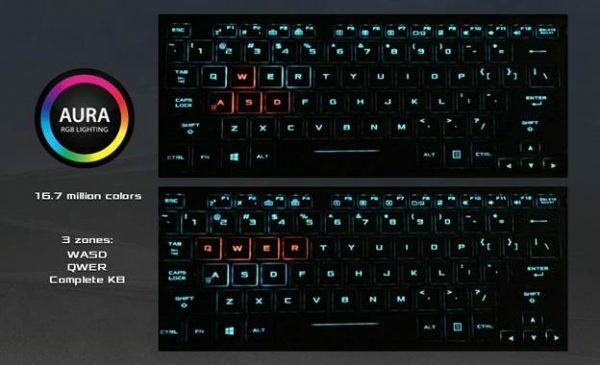 AAS maximizes system stability as well as gaming and thermal performance, and it allows full utilization of the CPU and GPU, so gamers can engage in marathon sessions without fear of interruption.